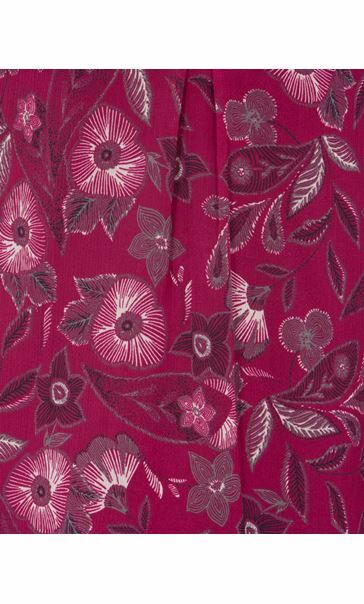 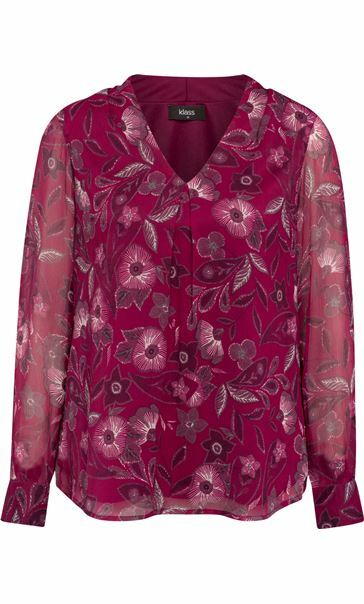 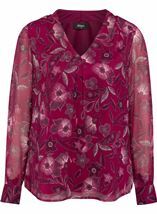 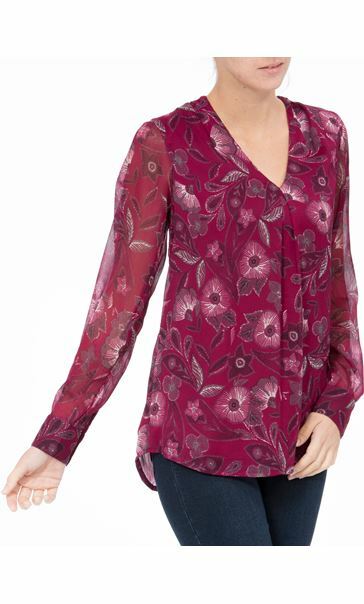 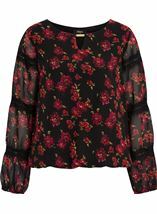 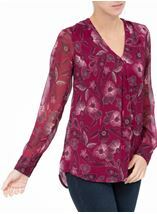 Stylish floral chiffon top in a merlot hue, perfect teamed with smart trousers for evening drinks. 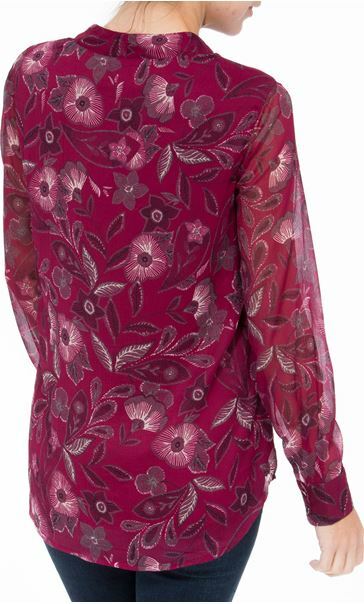 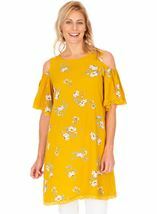 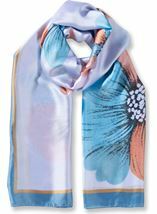 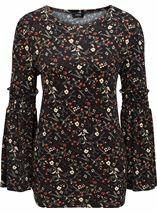 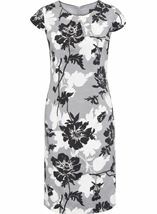 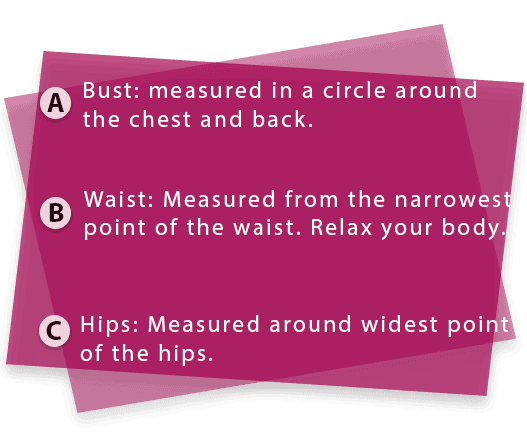 Designed with a flattering v neckline, long button cuff sleeves and lined to the body. 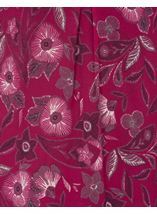 Back length 69cms.